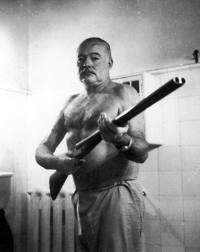 I’ve tried to read Hemmingway many times. I got through Sun also Rises. Once. I have always wondered what all the fuss is about. I’ve read many authors I enjoy more, and his elitism annoys me. His characters are always in an elite hotel being waited on, hand and foot, and mocking the working class. I kind of take that personally. Fair enough — and thanks for the comment. Here’s a thought… None of the elitism mars “For Whom the Bell Tolls.” It’s a gripping and brilliantly-told novel of the Spanish Civil War. No room service! 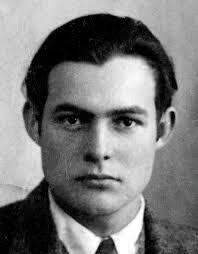 The hero is an American guerrilla fighter tasked with blowing up a bridge to help an offensive against the fascists; and Hemingway, in the story as in real life, was militantly on the side of the working people of Spain, a country which he loved and which loved him back. It is from this period that persistent but never substantiated rumors began whispering that Hemingway had joined the Communist Party. 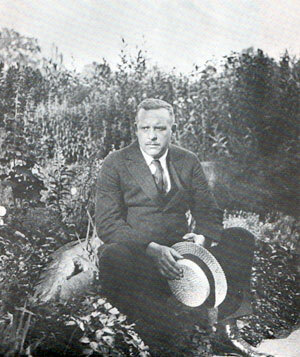 And also, if you’re a sportsman, you might also enjoy “Big Two-Hearted River,” generally considered to be one of the three or four best short stories of the 20th century. No room-service elitism there, either. Anyway, thanks again, and best of luck!